If you are seeking temporary or permanent residency status, or you need help with a nonimmigrant visa for a fiancé, or are facing deportation and removal, an immigration & naturalization attorney can help, but not every attorney will be right for you. 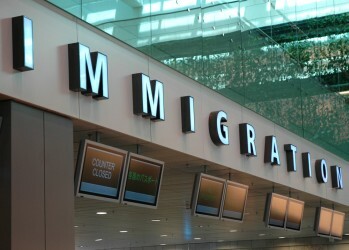 Deciding whether to hire an immigration attorney is an important decision. The first issue is whether you need an immigration attorney. Today, more than ever before, immigration law can seem heartless to immigrants trying to enter the country. When it comes to deportation defense and immigration court, the circumstances are dimmer. Even if you have a case that looks simple, the law forces you to fill out form after form after form… and then battles with a callous bureaucracy begin. This is one of those situations where having an immigration trial attorney comes in handy. Some immigration matters can be relatively straightforward. 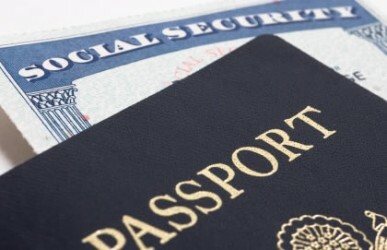 Many times, however, it is useful to hire an immigration attorney, for three reasons. First, immigration law is one of the most complicated areas of law, perhaps second only to tax law in its complexity. Second, immigration law is changing all the time, and it is hard to keep up, even for many immigration attorneys. Third, immigration attorneys can help make sure that your application goes through the immigration bureaucracy smoothly and quickly. You must be sure that your philosophy of how to handle your immigration case matches that of your attorneys; both of you need to be on the same page. It is important that you ask questions and gather information which reveals the attorney’s philosophy for handling cases. Selecting the right immigration attorney for your case will help you get through legal problems with the least amount of time, stress and money. 1. Search the Internet: Do a Google search on your attorney. Look for a legal blog, a website, news stories quoting or featuring the attorney, and other online information. Ideally, your attorney should devote almost all of his or her practice to the immigration matter you are willing to solve. 2. Contact the State Office of Court Administration: This office can tell you when the attorney was admitted to practice law, where he or she went to school and when he or she graduated, and whether the attorney is in good standing or has a record of disciplinary actions. Now that you have selected an immigration attorney to interview and have done research on him or her, the next step is to contact the attorney’s office and schedule an appointment. You can learn a lot about how your attorney will behave if you retain him or her just by how he or she handles the simple but important task of scheduling a meeting with you as a potential new client. Contact the immigration attorney’s office by telephone or e-mail and request an appointment. When you do this, it is important to tell the attorney’s office that you would like to discuss a specific type of immigration case. Take careful note of how quickly your message is answered. Your inquiry should always be answered promptly. If the attorney you contacted cannot manage to reply to a potential new client who is bringing him or her a new case and therefore new fees, that fact should tell you something about how he or she will behave once he or she already has your money. Also, pay close attention to who you deal with in setting the appointment and how you are treated. Most good immigration attorneys rely on an assistant to schedule their appointments, and that person is very often responsible for much of the day to day communications and interactions with you once you hire your attorney. If you are not comfortable with the assistant who sets your appointment, it is a sign that the attorney may not be right for you and your immigration case. The experience of meeting your immigration attorney at his or her office is critical to determining whether this attorney is a good fit for you and your special case. An attorney’s office is, in effect, his or her professional home. And the rules that apply to a attorney’s professional home are the same as those that apply to your own home. So, you should pay careful attention to what you see and hear in your attorney’s office. 2. Is the office neat and clean? This tells you something about how organized and focused the immigration attorney is. If the office is a mess and there are papers and files everywhere, imagine how that will affect the attorney’s ability to find your file and deal with your case at critical moments. 3. How does the attorney and his or her employees behave towards you and each other? It is important to observe how the immigration attorney’s staff treats you and each other during your visit. What you see when you are there is likely to be their best behavior. If you are not well taken care of during your visit or you observe inappropriate behavior during your visit, you can be certain this conduct will get worse once you are a client of the firm and the attorney has your money in hand. Preparing for your interview with your immigration attorney will help you make a better and more informed decision. You should organize discussion topics prior to meeting and bring with you any relevant paperwork. Your immigration attorney may need some of the documents you bring with you so be prepared and retain copies for your own records. If you can, you should write down dates and times of events, the names and addresses of any witnesses and any other important facts. You should try to understand that immigration attorneys have professional and ethical commitments to all of their other clients, so you should expect your interview to last about 30-45 minutes on average. 1. How much experience do you have with immigration cases like mine? 3. What other types of immigration cases do you handle? 8. How long does an immigration case like mine usually take if there are no unusual developments? While you are interviewing an immigration attorney, you should listen carefully to the answers provided. You should also pay extremely close attention to your attorney’s personality, his or her manners and behavior, and how you feel during the interview. How does the attorney make you feel? Comfortable? At ease? Are you treated as an equal and with respect? Or do you feel like the immigration attorney has a superior attitude and talks down to you? Has the attorney spent meaningful time with you and provided answers to your questions and concerns in a friendly and appropriate manner? How you feel about your immigration attorney and how he or she behaves towards you will have an affect on your ability to trust and communicate effectively with that person over emotional and highly personal matters. Once the interview is over and you have time to reflect, assess the strengths and weaknesses of the candidate. Did the immigration attorney listen to you? Did the attorney provide enough information to make you feel comfortable that they know the law and procedure? Did you feel confident? Once you have gone through all of these steps, you now have the information and experiences necessary to decide which immigration attorney best suits your needs.